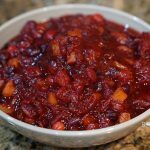 Homemade Cranberry Sauce is so easy and quite delicious! When my folks were in town for Thanksgiving , Mom and I thought we’d give it a go and make some homemade sauce. We loved it so much, we made two batches! 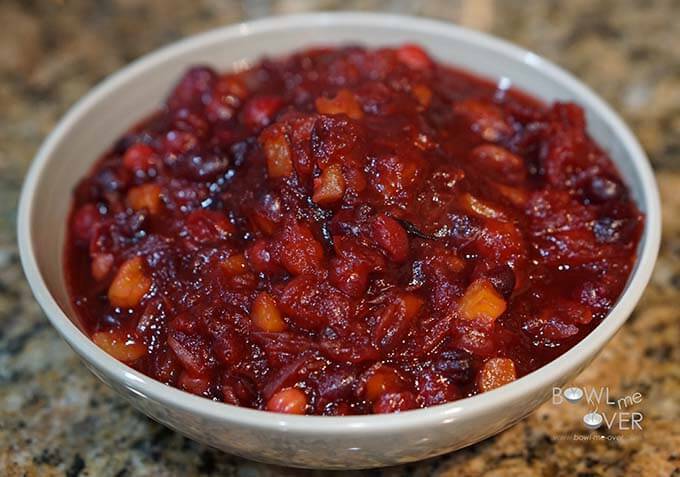 Mom and I usually make a cranberry relish using a hand-crank’d old fashion food processor but after trying this, we both decided we like the cooked version even more. We used cranberries, an apple that we grated, some apricots and orange & sugar. Super simple, took just a few minutes to come together and I don’t think I would ever buy sauce again! Sweet but tart and I know this will be great with your holiday meal and perfect on a turkey sandwiches the day after! What do you think – you ready to give it a go? Sweet, tart and crunchy this homemade Cranberry Sauce is a staple on our holiday table! In a large sauce pan add all of the ingredients; cranberries, grated apple, orange - zest & juice, the apricots, brown & white sugar, water and a pinch of salt. Turn heat to medium and stir to combine. 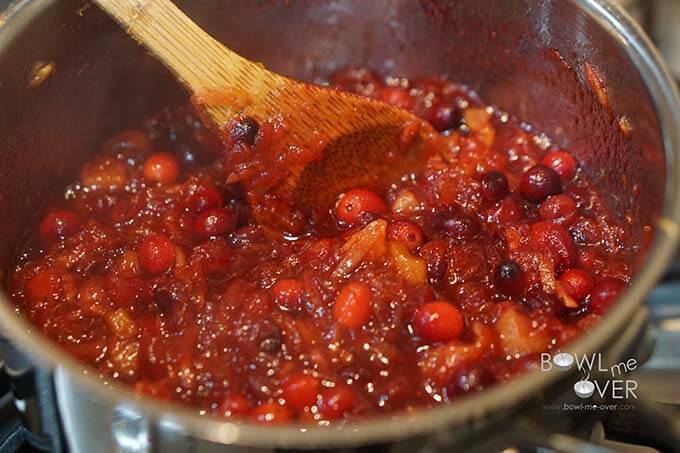 Cook until the cranberries burst - the mixture will thicken dramatically - and stir often as all of the sugars can scorch if they get hot. This has always been a favorite of our family. I love the sweat and sour taste it has. Won’t be a holiday dinner without it. Yes it is – the sauce is the perfect accompaniment when serving a rich holiday dinner!